One of my good friends lost 30+ lbs over the last couple months. She says one of the key changes she has made to her lifestyle is drinking more water. She keeps water with her at all times whether she is at home on the computer or out running errands. Watching her success has motivated me to make healthy changes too. Water makes up about 65% of the average person’s body. It’s essential for life. I am promoting the importance of proper hydration to my own daughters. Thankfully, both of them like water, as long as it’s cold. They get that from me. So why is proper hydration important? Here are 10 good reasons to drink more water. 1. Weight loss. Studies have shown that people who drink a large glass of water before meals feel fuller faster and eat less. Plus, drink cold water to help boost your metabolism while your body works to bring it to body temperature. I do this before meals and it really works! 2. Energy. Drink a cold glass of water on a hot or humid day to get your energy back and stay cool. 3. Sweat = Loss of Fluids. During the summer, we tend to sweat more especially when we are doing activities. Keep your water intake up to avoid dehydration. Aim to drink at least 8 oz. every 20 minutes when you are active. 4. Healthy digestion. Keep things moving along in your body with water. It helps to process fats and fiber and also lightens the burden on your organs in processing waste. 5. Ward off fatigue and exhaustion. Refuel with lots of water to stay alert and feel great during your summer activities. 6. Improve mood. Heat can make people cranky and uncomfortable. Mild dehydration has been proven to negatively impact your mood and behaviour. 7. Prevent headaches and migraines. Drinking water is a natural way to prevent headaches. Mild dehydration is a trigger for some people, me included. When I feel a headache coming on, I always reach for a glass of water first. Many people experience relief within 30 minutes of drinking 2 glasses of water. Try it! 8. Delicious. It’s fun and tasty trying new water recipes. Add a little fresh fruit crushed with honey to your water to change it up. 9. Focus and concentration. 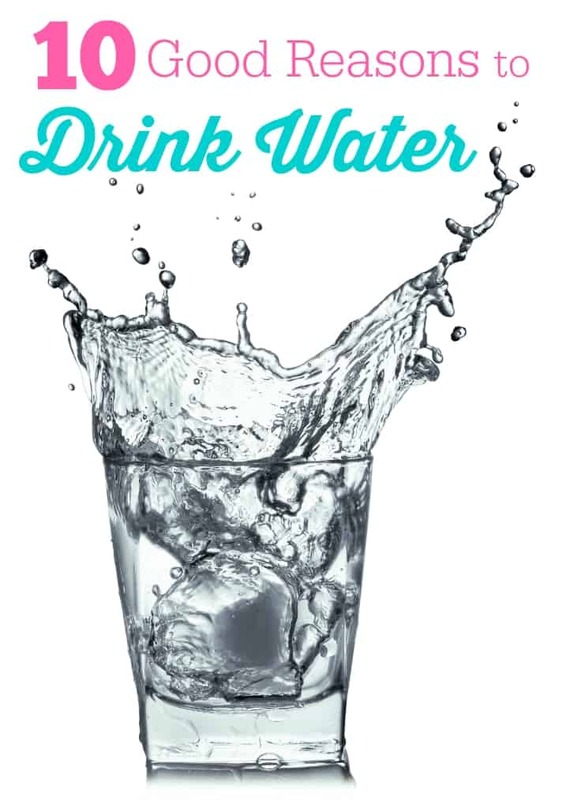 Dehydration can affect your attention span, motor skills and basic memory. Drink water regularly to stay alert and present for the tasks you are working on. 10. Aches and pains. Our connective tissues need water to stay supple and lubricated. Cartilage is 85% water so drinking water regularly helps your spinal cord, joints, tendons and more operate at their peak. 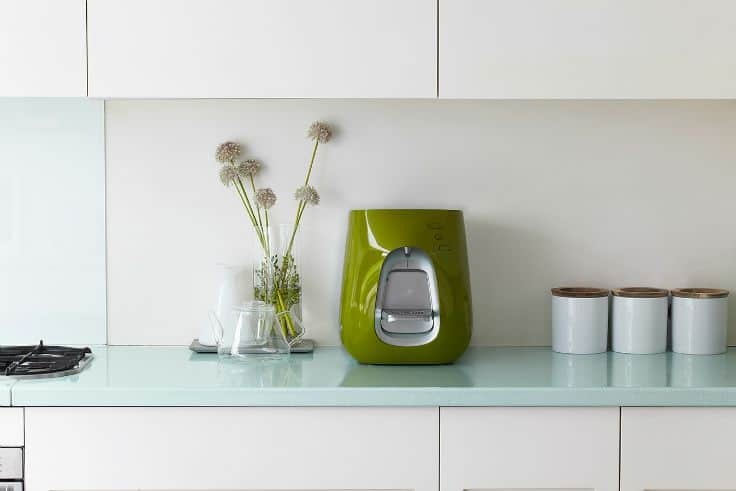 It’s easy to drink more water when you have a Strauss WaterBar in your home! They come in two models (T6 & T7) and fit perfectly in your home or office. 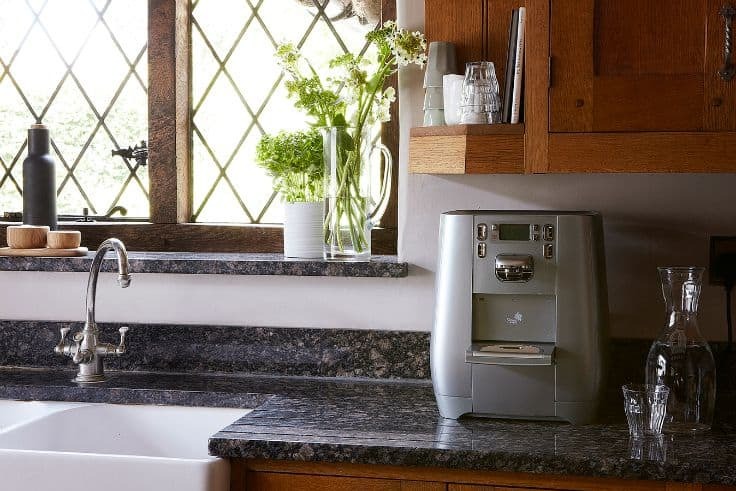 The Strauss WaterBar is hooked up to your main water line to deliver you a supply of purified, chilled, boiling or room temperature water – you choose with the touch of a button. Sounds amazing right? 1. Convenience. 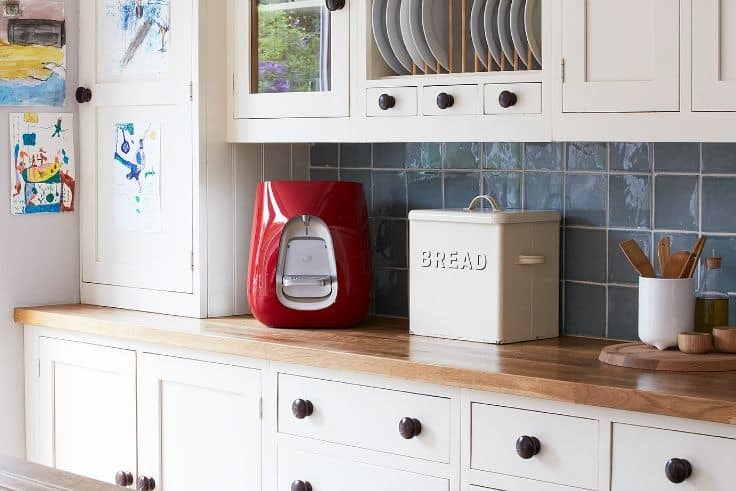 No more huge water containers taking up precious real estate in your fridge. You’ll also have a unlimited supply of water with the touch of a button, any way you like it! 2. Save money and help the environment. Say goodbye to bottle water and help reduce your family’s plastic waste for less than $1 a day. It’s more energy efficient than a kettle for boiling water. 3. Innovative, Compact and Stylish. It fits easily into your home or office with it’s chic design. 4. Encourages a Healthy Lifestyle. Keeps your family hydrated and provides all the key benefits I mentioned above plus more. The Strauss WaterBar removes 99%of bacteria while still retaining water’s essential minerals. For more information about the Strauss WaterBar please check out their website. What do you like most about the Strauss WaterBar? You can have hot for tea or cold for drinking! i love how sharp it looks on the counter, and that it is super easy to use. hot for tea or cold for drinking! I love that it’s constant supply from being hooked into the house’s system, and that you can set the temp for hot or cold water on demand. Very handy as sometimes I only one one cup of tea and boiling the kettle seems like a waste! I love how you can get hot or cold water in an instant. I love the quick hot/cold feature. I like that I can get hot or cold water at the press of a button. It’s…like magic. I love the idea of instant pure hot and cold water. I love that Strauss WaterBar is so pretty and it’s Canadian! I like that it kills 99% of bacteria and encourages my family to drink clean water. I love this! It’s so hard to get my son to drink tap water.. He says it “tastes yucky”… This would help us with that in our house! I love how it has the hot and cold options! I love the incredible colours, especially the red. I love how safe the water is. WOW! This is great! It not only gets rid of water bottles but saves space in the fridge because it replaces my brita water filtering pitcher. I love that you can have both hot and cold water dispensed and it’s a really nice design for an appliance. i know i would use it constantly! I like that I can have hot and cold options. hot and cold in an instant is what I like. I love the idea of not having to go fill bottles every week! save some fuel too! No more heavy water jugs! I hate carrying those! The hot/cold option is the best! I like the design the best.